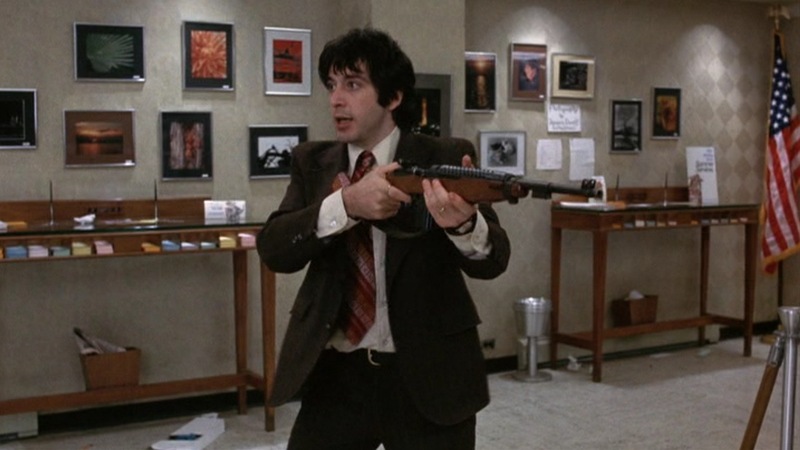 The inciting incident: Sonny and Sal pull out their guns and hold up a bank with only $1,100. 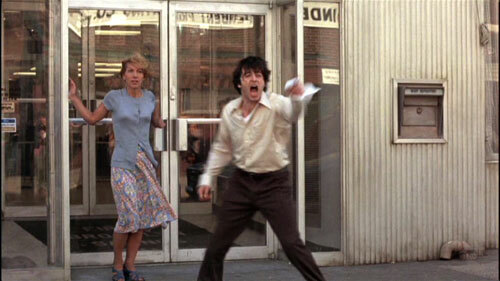 PLOT POINT 1: “Attica”, “Attica”, Sonny yells to the crowds winning over their sympathy. The hostages also see the human side of Sonny and Sal and also begin to start sympathizing with their situation and botched attempt of a routine robbery. Every time Sonny emerges from the bank, he is cheered by the sympathizing crowds. MID POINT: The police make a botched attempt at trying to break into the back room from the roof. Sonny shoots out the windows chaos ensues, then sonny orders pizza, coke, and aspirin for the hostages. Sonny throws money into the crowds causing more chaos. Sal shows concern and counsels the bank clerk on how to take care of her body by not smoking cigarettes. The police bring down Sonny’s transvestite gay lover so he can talk with him. PLOT POINT 2: Sonny is making out a will after talking with his mother, his wife, and his gay transvestite lover. Sonny has come to the realization that there is no way out of his situation without going back to prison. CLIMAX: The FBI move in at the airport and shoot Sal square in the head killing him dead. Sonny is captured and arrested. END POINT: There are no green pastures for those who commit crimes and put others lives’ in danger. Crime doesn’t pay. 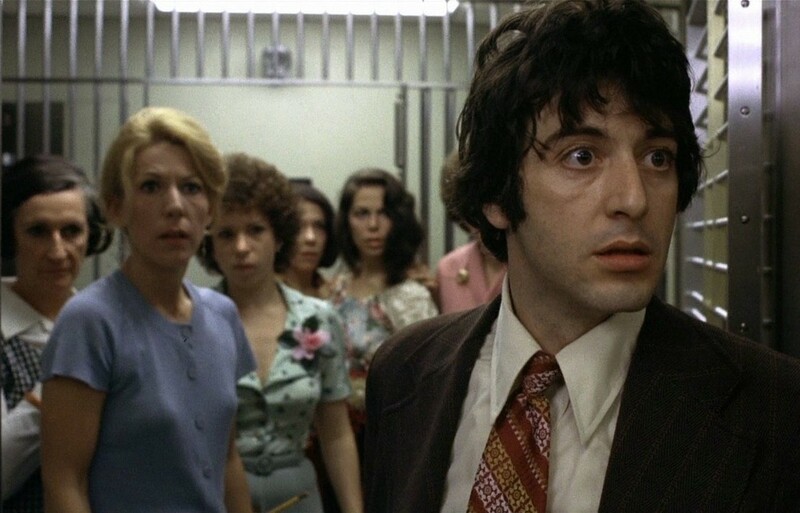 Gotta give it to Sidney Lumet for keeping it real in this movie. Typical Sidney flick. I’ve seen this movie many times throughout the years and Sonny’s character always mesmerizes me.